The Army National Guard wants to maximize readiness through training, leadership development and a resilient force, according to its director. “Obviously, people are the backbone of everything we do in the Army National Guard, and we’re going to use our knowledge and experience and perspective to effect mission readiness,” Lt. Gen. Timothy Kadavy told Army Times. The Guard will do this through training, education and as much predictability as reality allows, he said. Kadavy said 2018 is going to be a big year for the Army National Guard in terms of training. 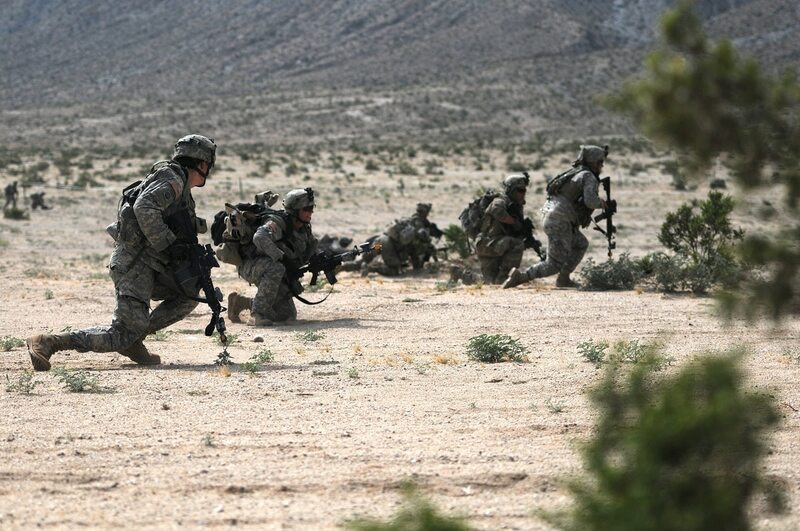 There will be four combat training center rotations: two at the National Training Center at Fort Irwin, California, and two at the Joint Readiness Training Center at Fort Polk, Louisiana. “That’s a big step forward,” he said. The Guard will also have annual external training center rotations to prepare for four CTC rotations the following year. The external rotations enable brigade combat teams to train during non-combat training center years. The Guard’s armored and Stryker BCTs will have additional training days over a four-year cycle, Kadavy said. During a unit’s first year in the cycle, soldiers will train for 39 days, which is the standard and consists of one weekend a month and two weeks a year. The training will increase to 45 days during the second year, and 60 days each in the third and fourth years. Most of the Guard operates on one weekend a month and two weeks a year, but the additional training is for specific units that the Army requires more readiness from, Kadavy said. The Army’s armored BCTs are in high demand for deployments to Kuwait, South Korea and Europe, which requires additional training. Army National Guard units will see more training days – up to 60 days a year in some cases – and combat training center rotations as part of the Army’s effort to increase readiness across all three components and keep up with the demand for soldiers around the world. He added that mobilizations, deployments and deployment training are the Guard’s best retention tools. The Guard is also focused on professional military education, Kadavy said. “We’ve got some work to do there to bring up our percentages — the good news is that the school dollars funding has increased over the last two years,” he said, which means the Army doesn’t have to choose between soldiers going to school or attending collective level training with their units. “We have the funding for them to do their professional education and train with their unit,” he said. When it comes to balancing Guard soldiers’ military and civilian lives, Kadavy said it’s all about predictability. It’s also important that employers know when soldiers won’t be there because of training so they can plan accordingly, he said. Even though the Army can’t predict when a crisis will arise and Guardsmen will be called up, the service can share changes in its training and commitments. “We share [our soldiers] with their families and their employers,” he said.